I think I could write an entire book about my emotions on the day before heading out for new horizons. During our circumnavigation, no matter where we were in the world, when it was time to leave I was always filled with emotion and not wanting to move on. But as soon as we would get underway, I was quickly looking forward to the journey and the new location. The apprehension about leaving is even stronger when we are leaving family. 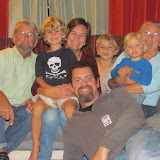 We have been here with Heather, Jed, and boys continuously since May of 2013—that’s a year and a half of watching grandsons grow. We have loved every minute of it and our bonds have grown tighter with each day, but the thought of another cold New England winter is just enough to nudge us away. We’re hoping Heather, Jed, and boys will be able to come see us this winter in some warmer place, but we assured the boys that just as the birds and the whales so south for the winter and return, Windbird will do the same. Parting was not easy, but after a lot of hugs and kisses, Heather drove us out to Quissett Harbor and we headed out to Windbird. The weather forecast for tomorrow is not great—rain, rain, rain, and cooler temperatures. But the rain should stop by evening. Cold, rainy nights are much more miserable than cold, rainy days, so we’ll hope that part of the forecast holds true. I will be sending my logs via Ham radio for the next few days, so hopefully we’ve not forgotten how to do this. We think we have found the problem with our radio connection, but just in case, don’t panic if a log does not appear. If that happens, the most likely cause will be a technical difficulty. But we’ll certainly be in touch when we reach Chesapeake City on Monday night. To back track just a bit, we had a lovely morning with Sam, Jonah, and Oliver. When they spend the night on Windbird without mommy and daddy, I get the joy of having Ollie sleep with me in the aft cabin. Lucky me. We get to snuggle all night. And this morning, very early, Sam and Jonah came in to snuggle with Oliver as well. They made an Ollie sandwich with Sam on one side and Jonah on the other. It was a fun way to start the morning. Then we played Legos, had breakfast, and headed to shore in the dinghy minus the motor. Sam rowed us over and we flipped the dinghy on the beach so I could clean the bottom. The bottom paint we used last fall has worked great. The only place there were barnacles was where the paint had been scraped off. There was a bit of a green algae in some spots, but that scrubbed off easily with a brush, so now all is clean. 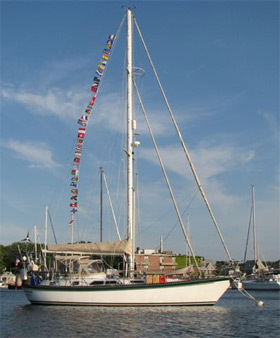 After cleaning the dinghy, we returned to Windbird for lunch and for the trial of raising Windbird on to the deck. That also worked smoothly, so we felt like we could head into town. Heather and Jed came to retrieve their boys and Mark and I went to storage to get the last few items we want to take south with us. Then we went to Heather and Jed’s for dinner. I had offered to make salmon cakes since I needed to make some to take on the trip with us as well. Heather picked kale from the garden and fixed that. We had a delightful meal and then said those ‘not so easy’ goodbyes. Today was the day to do food shopping for our upcoming sail southward. Two shopping carts later we were done and we headed to Heather and Jed’s so I could start cooking. I made chili and Shepard’s Pie. I also prepped all the ingredients for making a double batch of apple chutney to can for us and for Heather and Jed. Heather was in Boston today, so we didn’t see her. But we absconded with her children and brought them to Windbird for one last overnight before we leave. We love having them here and are going to miss them terribly while we are gone for the winter months. I can’t think about it without crying. But the wind is roaring tonight and the temperature gets a few degrees cooler each day, so it is definitely time to head south. The plan for tomorrow morning is for the boys to help us row the dinghy to shore to flip it over and clean the bottom. Then we will row it back to Windbird and raise it up on the deck to check to make sure we have a good way of securing it. This dinghy has never been on the deck, so best to check that out before we are ready to leave. Tomorrow afternoon we have a few things we need to do in town and then we will go to Heather and Jed’s and fix the traditional salmon cake departure dinner. I’ll make a few extra so we’ll have them for our trip south as well. 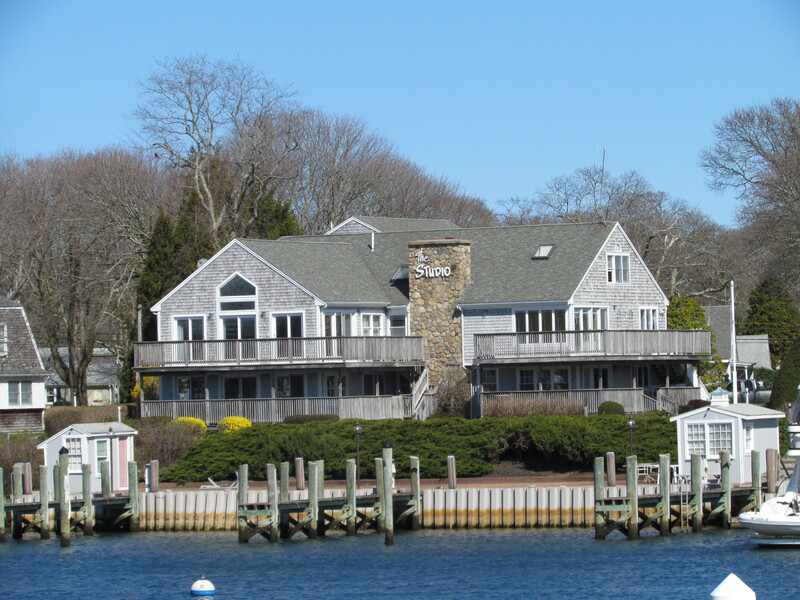 Heather, Jed, and boys will then bring us here to Quissett Harbor and we’ll say our farewells on the dock. We plan to set sail early on Saturday morning. The temperature will be in the 50’s and it will be raining, but at least the wind will be coming from the north. Things look a bit nicer on Sunday, but the wind will switch around to the SE on Sunday night. The good thing is that there should not be much wind and by Monday morning we will turn into the Delaware Bay with the SE winds behind us. That’s the plan, but when you sail you know that the weather has a mind of its own and things could change. I’m so tired that I just wrote today’s log and somehow deleted the whole thing while saving it. So this will be the short version. Ollie has another cold and couldn’t go to school today, so we went to Heather and Jed’s to take care of him. What a treat! He constantly entertains us and we had a great day. Mark and I walked with Ollie to get Sam and Jonah after school. On the way, we dropped some clothes in a Planet Aid box at the corner and we saw some miniature golf clubs that someone had left by the box. Planet Aid accepts only clothes, so Mark and I decided to take the clubs for the boys to play with. 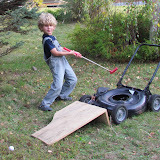 When we got home, Sam engineered a golf challenge by using a wooden ramp leading to an old lawn mower with the motor removed. That left a big hole for the golf balls to go in. Sam hit a few rounds and then went to do homework. That left Jonah to keep practicing to get a hole in one. He was incredibly good at this and had so much fun. So we had a great day, but we didn’t do anything to get ready for leaving. Tomorrow we go to Boston for Mark’s chemo treatment, so maybe we’ll have a very productive day on Thursday in terms of trip preparation. The weather is looking just okay and we are planning on a Saturday morning departure. If that sticks, we also have Friday to get ready. But ready or not, we will probably leave here on Saturday morning. Mark met with his new oncologist here on the Cape today. His name is Dr. Avilez. He is known to be a very compassionate doctor and he gave Mark a proper pep talk. His prescription was ‘eat, drink, and have a wonderful time’—so we will. Note: If you tried to access our website this morning, you got a big, fat RED warning from Google. There was problem, but it has been resolved thanks to the diligence of our son Justin working with Handleysail’s webhost. You can once again feel safe about accessing the site. Admittedly, the days since we got the bad news about Mark’s cancer have been the toughest of my life. 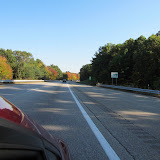 But our little two day jaunt north to New Hampshire was just what the doctor ordered. We have always gone along with the words from Kenneth Grahame’s book, The Wind in the Willows. “There is nothing, absolutely nothing half so much worth doing as simply messing about in boats.” We obviously believe that. But right now I would like to change that a bit to say, “There is nothing, absolutely nothing half so much worth having as wonderful family and friends.” So many of you have sent such supportive emails and visiting with family and friends yesterday and today just reinforced the love being sent our way. Last night’s log was very short with no details as it was after midnight and I was just too tired to write anything that could possibly describe the day’s events. So I shall give it a go here. Our trip to the apple orchard with Heather, Jed, and boys was short but it was joy to see those little blonde heads bobbing about in the apple trees and those little hands picking apples to fill the bags. We left them and drove two hours to Portsmouth, New Hampshire to have lunch with my niece Candi, her husband Char, their six year-old granddaughter Grace, and my other Massachusetts niece, Lynn. They drove from Massachusetts over to Portsmouth to have lunch with us so we would then be close to our next ‘appointments’ with Portsmouth friends. Each year Char rides in the Pan-Mass Challenge, a bike-a-thon that raises more money for charity than any other single athletic fundraising event in the world. And this year Char dedicated his more than 150 mile ride to Mark and his battle with cancer. Char sent Mark his letter of dedication and a Pan-Mass Challenge t-shirt and this was first time we have seen him since then and Mark’s first chance to thank him in person. And I second that. Char, thank you, thank you, thank you . . . and keep riding. We met at Warren’s Lobster House and had a great lunch. Grace, the granddaughter, was absolutely amazing. She sat through an hour and a half of adults talking and talking, and she really never complained once, which gave all of us a chance to visit and catch up on family happenings. After the late lunch at Warren’s, Mark and I drove to see our friends Rich and Leslie Kole. They got home from a two-week river trip in Europe late on Saturday afternoon, so we really appreciated that they were willing to have us visit less than 24 hours after their return. We loved hearing all about their trip along the Rhine, Main, and Danube Rivers from Amsterdam to Budapest, but more importantly we just enjoyed being together. From there we drove over to Tom and Detta Porat’s. We stayed in their home for a week just after Mark’s surgery in early June and we haven’t seen them since. So again, it was just wonderful to have the time to sit and talk. Tom and Detta are incredibly gracious and we always enjoy their over-the-top hospitality. While we were there last night, their college-aged son, Matthew, called to talk with us. I was Matthew’s first grade teacher, so we have a bit of a special bond. But last night he was really focused on Mark. It was so special that he called to talk to Mark and to tell him how much he respects his positive attitude in dealing with a not very positive health scenario. Matthew is going through a selection process to become a Rhodes Scholar, so we wish him the very best. But whether or not he becomes a Rhodes Scholar, Matt will be a success in life because he truly cares for people. Good luck, Matthew. Detta and Tom headed to work early, early this morning, so we said our farewells last night. This morning, we had a leisurely morning looking out over the Great Bay while making phone calls to take care of various issues. 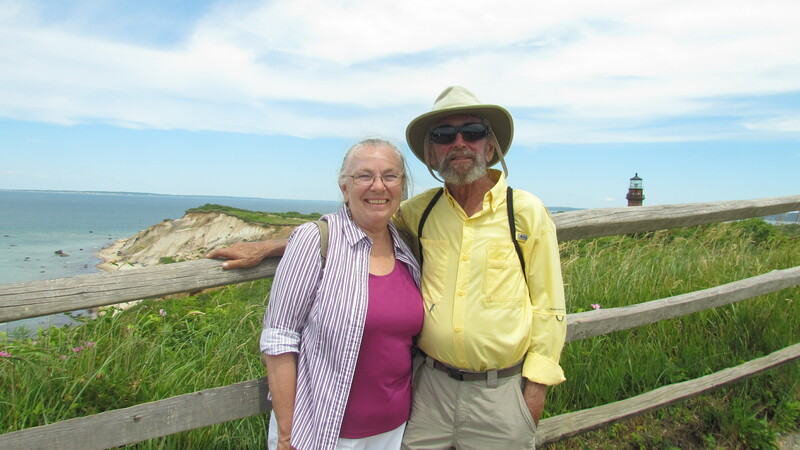 We were waiting to hear from Mark’s oncologist to see if he was scheduled for a chemo treatment today, but once we knew that was not going to happen until Wednesday, we decided to make an impromptu side-trip to Concord, New Hampshire to have lunch with friends Alan and Helaine Kanegsberg. And since we were going to drive there, we also decided to pay the big bucks to get the documents from our Safe Deposit Box in Concord. We lost the keys to the box during our little trek around the world and had just never decided to pay the money to recover the documents. But since our birth certificates were part of the package, it was time to do it. We arranged to have lunch with Alan and Helaine in the building where New Hampshire Public Radio is now located. This allowed Mark to visit with his friends at the station as well as with Alan and Helaine. And during lunch with Alan and Helaine, we conjured up all sorts of tentative plans to meet up in Ft. Lauderdale this winter. We left Windbird at 9 am yesterday and returned here 36 hours later feeling good about life. The having of wonderful family and friends is not something that can be described with mere words. All we can do is express the love we have for all of you. Thank you so much for being there for us. Instead of Sun . . . day, this day should have been called ‘Full . . .day’ as we lived it to its fullest. 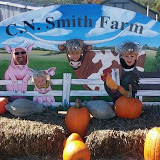 We started the day at the C. N. Smith apple orchard with Heather, Jed, and boys. 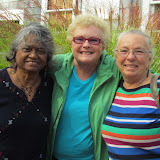 We then drove to have a late lunch in Kittery, ME, with my two nieces from Massachusetts. Then we drove back across the Piscatatqua River to visit with friends Leslie and Rich Kole. Finally we ended up at Detta and Tom Porat’s for dinner. It was such a delightful day with beautiful sunshine and lots of visiting.